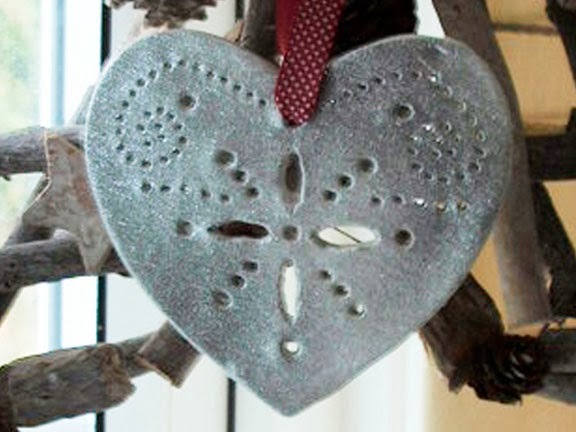 Day 6 of Twelve Days of Christmas adds a bit of sparkle to your tree! First choose which cutters you are going to use. Taking each cutter in turn, draw around them on the A4 paper and cut out. Use these paper shapes to draw your design on or just freehand it! I used the template found in Christmas Crafting In No Time . Next, break off a chunk of clay. Roll it out flat until it’s about 5mm thick. 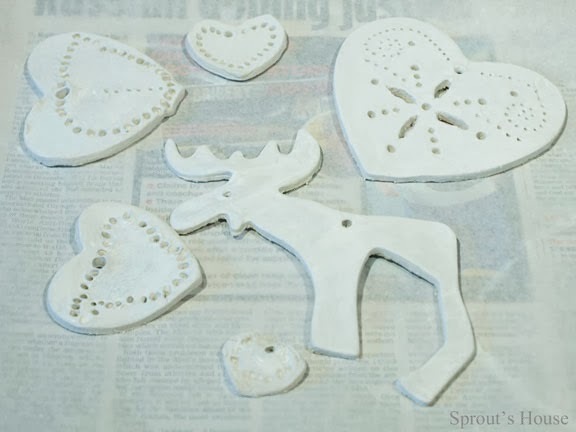 Press one of the cutters into the clay and then push out the shape. If you’re free handing your design you can get cracking now. 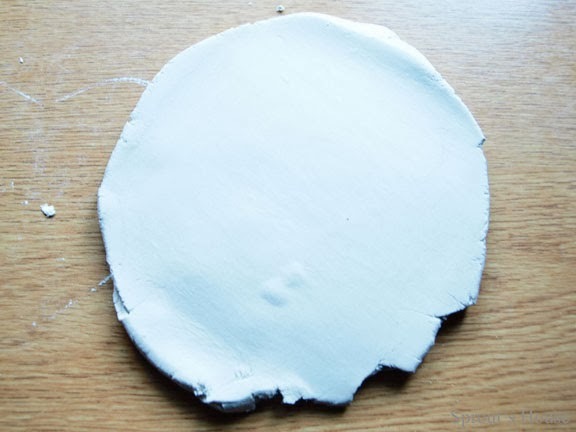 Otherwise if you have created a paper design, place the paper shape on top of the clay shape. 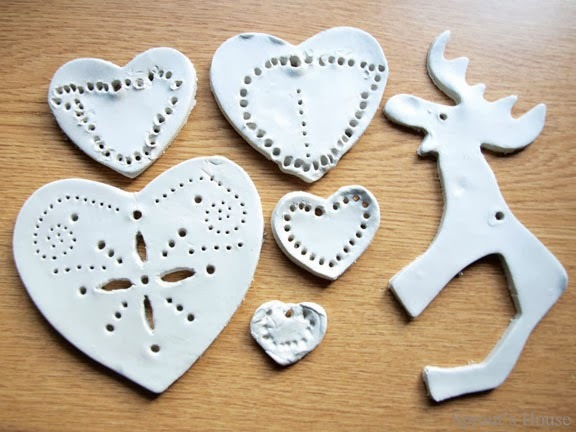 Using a biro, trace over your design so that you create a slight imprint in the clay. 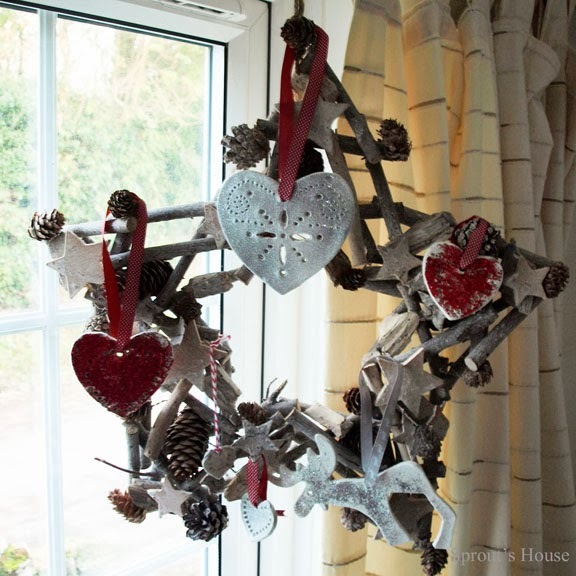 Then start creating the pattern using whatever implements you have in your kitchen. I used a square metal skewer, a thin round wooden skewer and a small vegetable knife. To make different sized holes, gently rotate the utensil in the hole pushing outwards as you go. 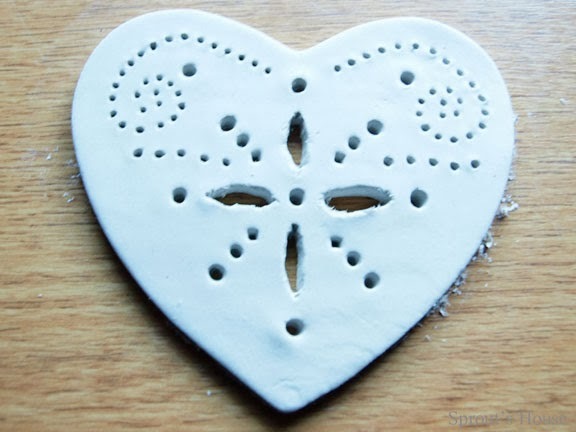 Once you are happy with your design, allow your clay to harden. Then paint or spray paint white. 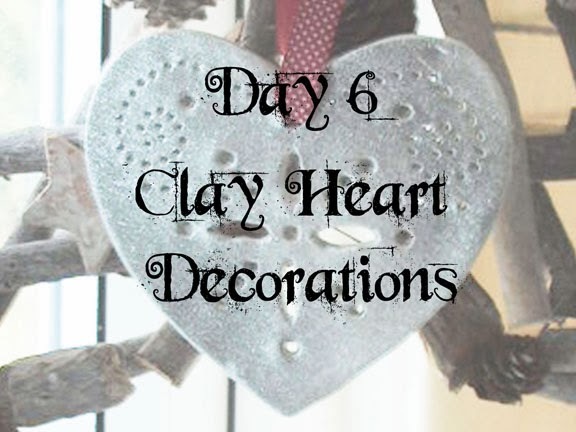 Allow to dry and either spray with glitter spray or coat with PVA glue and sprinkle with glitter. 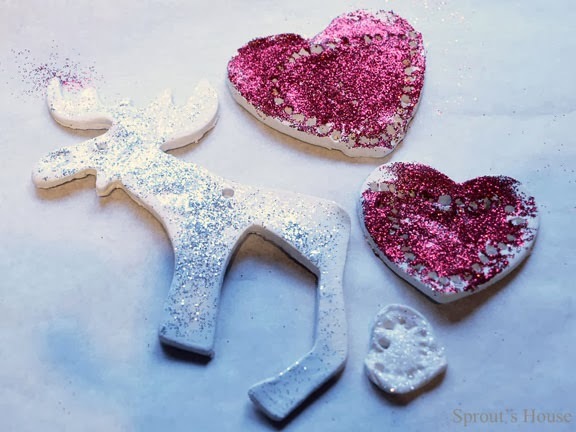 This is Sprout's collection of hearts and a reindeer - she loves glitter as much as her mummy!